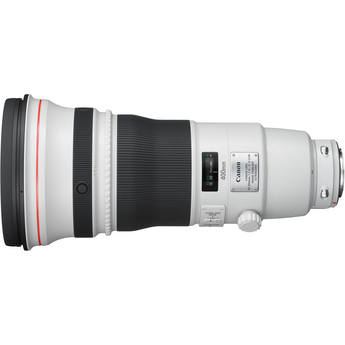 The Canon EF 400mm f/2.8L IS II USM Telephoto Lens is the perfect choice for nature, wildlife and sports photographers. The lens is extremely light for its class and the Image Stabilization system offers up to four extra stops of performance. The EF 400mm f/2.8 IS II USM features Fluorite optics that deliver sharper images with less chromatic aberration, and Fluorine coating that keeps soiling, smears and fingerprints to a minimum. 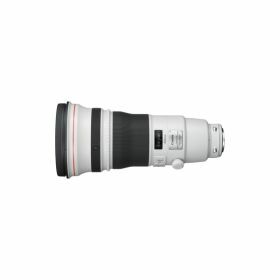 With a super-telephoto focal length, fast aperture and outstanding image quality, this lens provides reliability and exceptional results expected from the Canon line of L lenses. With a third Image Stabilization mode (Mode 3) that activates IS only when the shutter button is fully pressed, and giving the equivalent effect of a shutter speed four stops faster, the EF 400mm f/2.8 IS II USM allows for easy panning and is ideally positioned for professional action photography. Fast, quiet Auto Focusing (AF) is provided by a ring-type fast Ultra-Sonic Motor (USM), dedicated AF algorithms and a high-speed CPU, which offers quick and accurate focusing during shooting. Photographers can also utilize full-time manual focusing functionality, which enables the adjustment and fine-tuning of focus even when the AF system is activated, providing even greater control over image capture. The Power Focus mode aids focusing during video shooting, allowing the photographer to smoothly adjust focus during filming by twisting the focus recall ring. With a security slot for wire-type security locks, buttons and switches are redesigned for intuitive, deliberate operation, and dust and water sealing keeps the lens functioning flawlessly in even the most challenging environments.